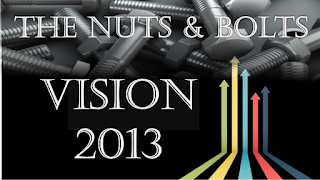 We have been going through our Vision for our own personal lives and for the church. 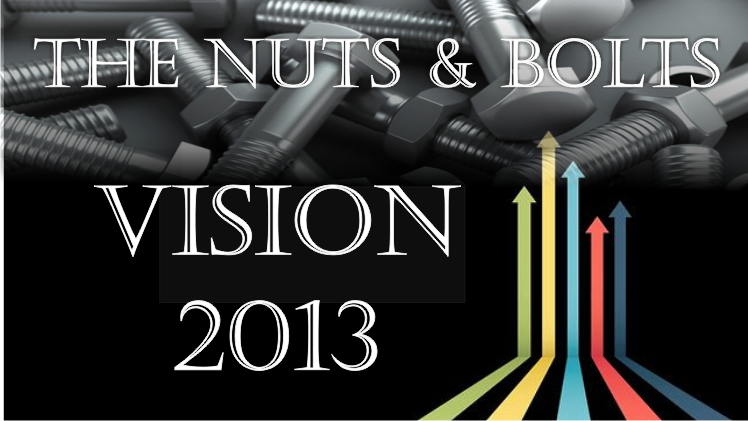 Our goal as a church for 2013 is 30/13 . A group is you and one other person with whom you are sharing about what it means to follow Jesus. We have already reached that target. God’s plan for each one of us is to become more and more like Jesus and be fruitful. If we are not doing this we are missing out. We need to become more like Jesus in our character. This is to the Father’s glory – that we bear fruit that will last. Therefore the job description for every Christian: to become like Jesus. So how do we do this? The blue print for our lives is given in Matt28:18-20 i.e be a disciple who will make disciples who in turn will make disciples. Who is a disciple of Jesus? There should be 4 essential foundations i.e faith in Jesus, repentance from sin, baptism in water and baptism in the Holy Spirit. Acts 2:38 38 Peter replied, “Repent and be baptized, every one of you, in the name of Jesus Christ for the forgiveness of your sins. And you will receive the gift of the Holy Spirit. We see that there was faith, repentance, then they are baptized in water and filled with the Holy Spirit. Jesus is not one of the many Gods that people add to their lives. He is the way, the truth, and the life. The Christian faith needs these 4 elements just like a chair that needs 4 legs to be stable. If one is missing it will be rocky. 1 Personal worship: Christianity is about a relationship with Jesus and not a religion. 1Cor1:9 God is faithful, who has called you into fellowship with his Son, Jesus Christ our Lord. 3. Heart Worship – Giving. Where your treasure is there your heart will be also. We are only stewards of what we have. God has entrusted us with resources- we are to use them for His glory. 4. Small Groups – the Sunday celebration is good but the sharing of life happens in the small group. Acts 2:42. Be part of a group- whether it is a life group or groups that is reaching out. 5. Love we can do all of the above but if we do not have love we are nothing and gain nothing. 6. Obedience- Are we building on rock or on sand? Are we a wise or foolish builder? 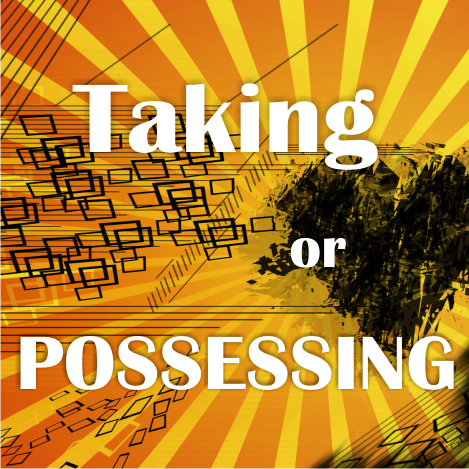 The difference between the two is obedience – putting into practice. It’s the hinge on which your Christian life rests. Obedience is more important than sentimentality. Today I want to talk about the 7th thing we look for in a disciple of Jesus i.e Servant hood. 1- Matt 4:10 For it is written: ‘Worship the Lord your God, and serve him only. We are all serving someone – ourselves, the devil or God. Right from Eden to heaven it’s about serving. Adam in Gen 1:28 was given a command to be fruitful and subdue the earth. Adam had to work in the garden. Work is good and was there before the fall. Work became hard toil after the fall. The echoes Jesus command to go into the entire world and multiply. In Rev 19:10 the angel refers to himself as a servant. He referred to John as a servant. Rev 5:10 “to serve our God” Friends we can’t get away from serving whether its Eden, earth or heaven. 2- God gives grace to serve. We have heard of saving grace. Rom 12 and 1 Cor. 13:7 talk about the gifts of the Holy Spirit given for the common good. 1 Cor. 12:11 the Holy Spirit determined what gifts you and I received. Rom 12 has another list –v.6 according to the grace given us. Serving the body of Christians is the highest privilege. You may work of the best multinational company but one day that will pass way. We have the privilege to the serve the body of Christ the church which will last into eternity forever and ever. Today you have an opportunity to serve. Many confuse maturity with knowledge. It’s not what you know but what you do. God’s plan is for each one of us to serve Christ body. 3- Family – The church is not to be confused with a restaurant. At a restaurant you order the food, you wait to be served; you have a right to complain if things are not to your taste. Some people treat church like this. They don’t fit in – they want to be served. They complain a lot. But if you think of it as a family you will have a different experience. At home you help around; you are expected to chip in. So the response is how you can chip in. Servant hood helps you integrate. This is your family. We have folk who have joined us since just the past 4 months but because they have thrown themselves into serving, the life groups the reaching our groups, doing hospitality etc they are fully integrated in such a short while. Its upto you. Word of Grace is a very fertile places that provides for plenty of opportunities to grow. Talents were given to three different men. Jesus has given each one of us gifts. Verse 16 The talents man with 5 talents reproduced. The man with one talent hid it. Are you multiplying what God has given you? The master will come back one day. One day Jesus will settle accounts with us. Jesus acknowledges the man who multiplied the talent – he was also rewarded. Here is an opportunity to gain infinite rewards by serving in the local church. The one talent man mis- judged the master and called him harsh. Jesus calls him wicked and lazy, He was thrown out of his masters presence. 5. Fulfillment and rewards. We are gifted differently. Eph 2:10 says that there are good works prepared in advance for us to do. Is it craft, music, cooking, administration. Teaching etc etc. You will be most fulfilled when you find out what God want you to do and you do it. My prayer is that we will grow more in servant hood and train others to do the same. I have come across some great resources that I am sure you will enjoy. Here are the steps to getting a hold of these free books. Some are one time offers open for just one day. Make sure you get them before the day is done. Price: FREE (April 18-19) TODAY!!!!! Special thanks to my friend Inder from Grace Church Nashik for letting me know about the Gospelebooks link. Here is a new post that is only audio. 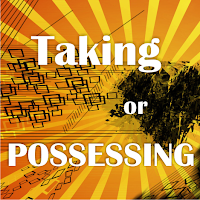 The first link is to Colin sharing on Taking and Possessing. There are also a few others who share on how their groups are doing. By the sheer grace of God we are already 30 groups in 3 months. I have never seen such rapid growth ( personally or in churches I have been a part of) in all my years as a Christian. We are touching 80 people and about 40 people in church are involved in these 30 groups. The next stage is seeing them come to faith, being water baptized, filled with the Spirit and added to the local church. We want to build wide and deep, making disciples of Jesus , teaching them to obey everything HE has commanded. We value your prayer support. This link below is an audio on Jeevan and Andrew sharing on their experience at Master Builders South Africa. Hope you find this encouraging.